Head to the great outdoors with vacation ownership at Lake Gaston Resort and Club. Nestled in Central Virginia, amidst lush green woodlands and sparkling lakes, this vacation retreat has the ambiance of an exclusive private country club—minus the country club price! 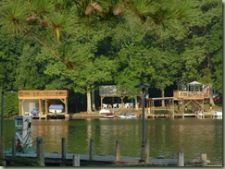 Situated on the Virginia side of the 20,000-acre Lake Gaston, the resort is an ideal spot for anglers, boaters, water skiers, and anyone who wants to hike, picnic, swim, and explore the waterway’s more than 350 miles of shoreline. 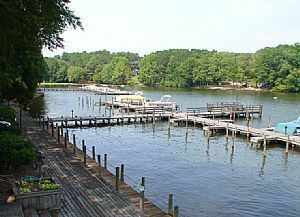 Start by enjoying Lake Gaston Resort’s private beach and boat dock. Then venture out, wandering the many inlets and fingers of this meandering lake, created as a hydroelectric reservoir on the Roanoke River. No wonder this area is renowned for fantastic bass fishing, as well as chain pickerel, walleye, bluegill, channel catfish, and blue catfish. You can catch and release or catch your dinner. And while you are out on the water, plan time to check out Goat Island and Wobble Island, along with water skiing, jet skiing, and other water sports fun. With fuel and supplies at the marina, a boat launch ramp, and 84 boat slips, this waterside retreat is a true boater’s paradise. While Lake Gaston Resort and Club includes spacious and well-equipped camping facilities, camping is not the only way to enjoy your resale vacation club membership there. 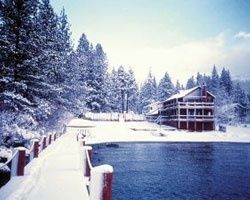 With a wide selection of rental accommodations, you can book the lakeside or woodland retreat that is just right for you and your family or friends. With nearly a dozen different floorplans and styles, you can choose a motel-style suite on the waterfront, a quaint 28- or 38-foot park model unit, the tree house unit, the love nest, or the spacious plantation house which offers three full bedrooms. The comfortable timeshare accommodations all have a kitchen or kitchenette (except the motel units which feature a wet bar, microwave, and mini refrigerator only), plus a private bathroom, and an outdoor space. 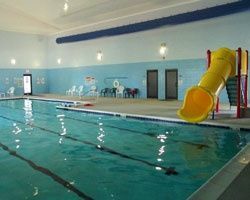 Amenities at the Club include a swimming pool, hot tub, sauna, clubhouse, beachfront snack bar, restaurant, nature trails, tennis courts, and lots and lots of planned activities. Contact Lake Gaston Resort and Club Specialist Today!